How do you pay a City Manager a $700,000 financial package along with 11 assistants, several making over $300,000? 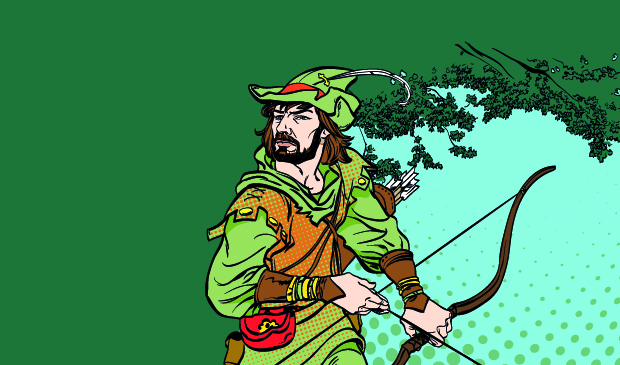 One way is to implement the Robin Hood policy. You take from someone else. In this case, Santa Clara has adopted a new Robin Hood twist. In a sweeping policy change, Santa Clara is now asking nonprofits and service organizations to pay their own way. Recently implementing this new policy, long term relationships and nonprofit partners with the City are being challenged by our own City Council. You might note Carolyn Schuk’s in-depth article. Organizations will be allowed to submit a grant application that may offset some or all of the new charges. Or, maybe none. It is not enough any longer that a nonprofit that has had a 10-, 20-year or longer partnership with the City, can carry on their fundraisers on City property unless they pay their own way or “qualify” for a City grant. Interesting how Santa Clara has been touting the tens of millions they have added to our surplus and suddenly need to assess nonprofits for use of public property? It seems to me that public property is just that. It was acquired with funds from resident taxpayers who have been paying taxes for years. It may be “owned by the City,” but it is still public property, for and owned by the people who made it possible. The use of public property has been a long-term precedent that sets Santa Clara apart from so many other municipalities. This is especially true for nonprofits. Virtually every nonprofit in our City reinvests 100% (or more) of their proceeds back into our community. This new policy affects virtually every nonprofit in our City. The bureaucratic paper work created by this policy is in addition to the hundreds of hours of volunteer ground work these nonprofit and service clubs already undertake. What does this do to the spirit and enthusiasm of our nonprofit members? Santa Clara has been known historically as the City that cares, and its residents have proven that by their tireless efforts in making their projects work for our City. The funds they raise have provided millions to the less fortunate over the years. Santa Clara’s long tradition of residents serving the underserved has been a hallmark of partnership success within our City. We would simply ask the City to cancel this arbitrary policy that places hardship on volunteers and return to a spirit of partnership that allows our nonprofits to flourish and provide.